Education is a service, where the quality of life for all mankind, can forever progress. For hundred years we can witness a transfer of knowledge through education, where people travel to other countries for their education and after come back home to implement the knowledge gained for their social improvement. Since the 1950s after the Second World War, international trade had been promoted through the signing of The General Agreement on Tariff and Trade (GATT), resulting international trading in goods and services had been increasing. Education is no exception. Not only there has been an increase in a number of students going to study overseas, but there has been also an increasing transnational movement of foreign universities setting its academic programs abroad. Thailand as compared to her neighbors, however, has not been well received nor sustainable with foreign institutions, though there were some overseas programs joining hand in hand with a local college and university. To answer, Why, is the topic of this writing from my intuition and my participation in some joint academic program between Foreign and Thai institutions. The Key factor lies in the Philosophy and Business Strategy in Education. First and foremost a foreign partner must look at Education as an Investment for a long term, say up to20-year timeframe in any partner country. It is a Wealth creation by both parties. If one can wait for 20 years to get the investment back, the average rate of return would be 5% per year. But each party will get more from a sustainable income stream in the long run from increasing in physical asset value and a network of alumni and brand building. 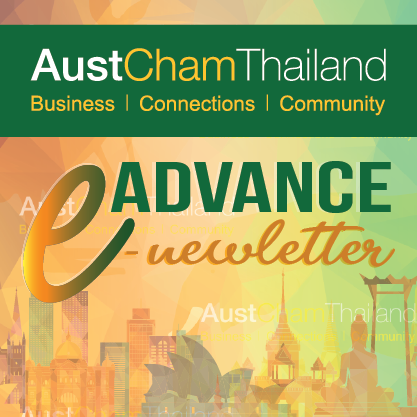 Imagine if a Foreign institution had come and set up its academic program in Thailand twenty years ago, what would have been their asset value performance and positioning in ASEAN today. Their network of alumni would support the institution diversification, recruitment of local students to their program here and back to their country. On the contrary, most of the Foreign institutions abroad count on cash flow and quick return on their investment and therefore patience is limited. Number of Partnership had been broken up after a few years of joint academic participation, though there were some returns, but not enough for the target rate. Nowadays the world is on constantly change with globalized education coming through online and more regional integration, therefore Education could be seen as an Effective Ambassador for Cooperation and Win-Win for both parties concerned. To sum up I wish to bring only just one important issue for Business Strategy in Education that to my mind, is when you participate in Education, you must look long term for Success and Sustainability. Having various experiences in academic field, Dr. Om Huvanandana has currently been working as Board member of International College Burapha University and Acting Deputy Dean of Siam University Graduate School in Business Administration. Regarding his past academic, he completed his Bachelor Degree in Commerce (Economics) at the University of Newcastle, Australia and Master degree in Economics at Thammasat University, Thailand. Then pursuing Doctoral Degree in Business Administration (Business Economics and Public Policy) at Indiana University, USA.